The initial novelty of solar may have passed, but as renewables become mainstream, costs decrease, and legislation pushes for clean energy, there are still savings to be had provided systems are well-designed and continue to operate as intended. 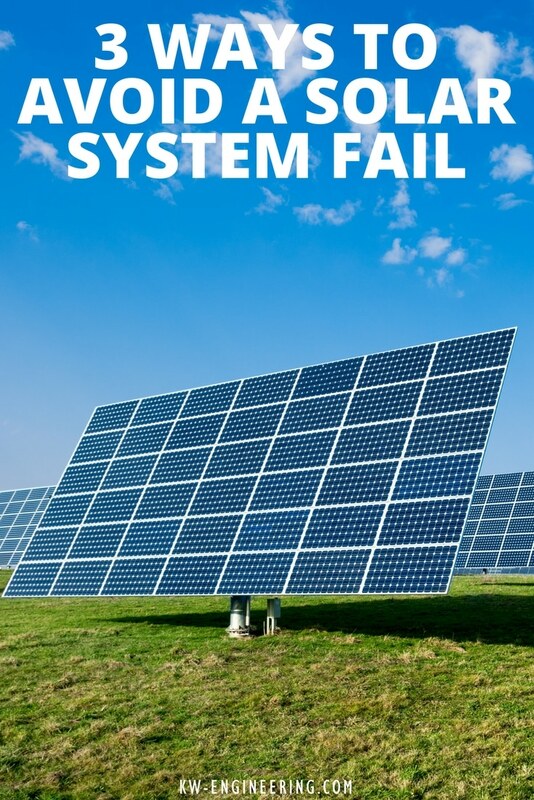 After inspecting over 3,000 PV systems in Central and Southern California we’ve seen epic systems, as well as epic fails. With no avenues for utility incentives remaining and therefore not third party oversight, PV system customers are left to make their own purchasing arrangements and lack a third-party verification of proper system installation and operation. At the height of the solar craze 12 years ago, California homes and businesses could receive cash back for PV systems through the California Solar Initiative (CSI). The California Public Utilities Commission (CPUC) regulated the administration of CSI through utility programs. One very important part of these programs were third-party inspections that ensured systems were installed and operated as designed. This is where we fit in – a trusted energy professional to verify the PV system. Without a middle man in the money trail of PV, no one is overseeing solar installations for quality assurance. Sure, structures may have some protection from local municipal permitting agencies. However, the rigors and knowledge of building inspectors varies greatly by location and individual. Unless the system owner can physically verify the installed system components, configuration, and operation (obviously unlikely), you may not get what you paid for. With close to 1,500 PV inspections personally under my belt, I’ve seen some common design, installation and operational mistakes to avoid with your PV system, some although obvious, still somehow happen. One of the easiest ways a new PV system owner can assure that they are getting what they paid for, is to take a step back and look at the big picture. Is there anything blocking the sun from hitting the solar panels? Even though this may seem obvious, it’s surprisingly this is one the most common design flaws I see in the field. I once completed an inspection on a residential property that had their panels on the north side of the roof, facing true north, which is the total opposite of the optimal direction for them to be facing. That wasn’t the worst part of this installation though. The worst was the giant, 25-foot tree 6 feet away from the roof. The tree was acting as a shade cover for the array, offsetting any production that may have been potentially produced. As a new system owner, looking for shade obstructions and knowing what direction your panels will face are easy ways to maximize your system’s energy production. Another simple way to verify if you’re getting the most out of your system is to check what your system is producing on your inverter. What exactly is an inverter you ask? An inverter is a crucial part of a PV system. The inverter’s job is to convert the direct current (DC) generated by the solar panels over to alternating current (AC) power that can be feed back to the utility’s grid. Whether you have traditional inverters or micro inverters, you can verify your system’s current production at any time. For residential systems there are two types of inverters. The first being a traditional inverter which is the shape of a large box usually mounted on an exterior wall of the home. 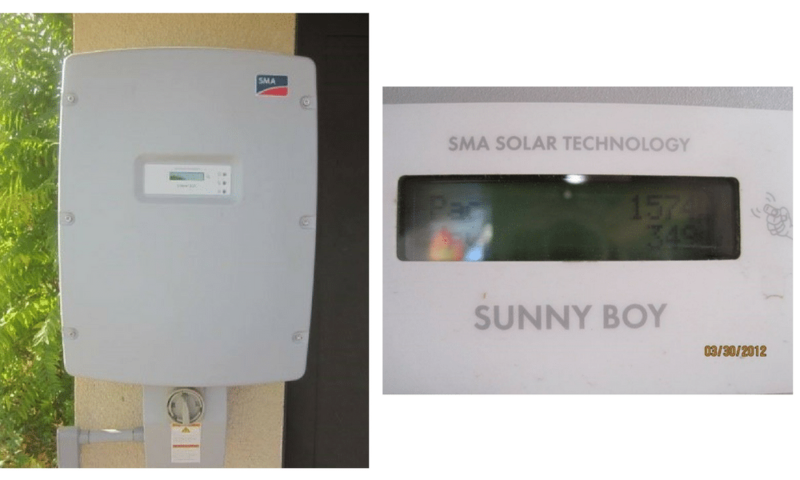 With traditional inverters, the system’s solar panels are all connected to one or two inverters, which are called strings. Strings are multiple sets of panels connected to each other that lead back to an inverter. Depending on the size of the inverter, strings can contain anywhere from 8 to 26 panels connected to each other at once. Traditional inverters have display screens that give you current production and year-to-date production, along with other information about the unit. Some system owners are scared they are going to break something, or shut the system down if they touch the display screen. Let it be known, simply scrolling through the display screen cannot and will not do any damage. 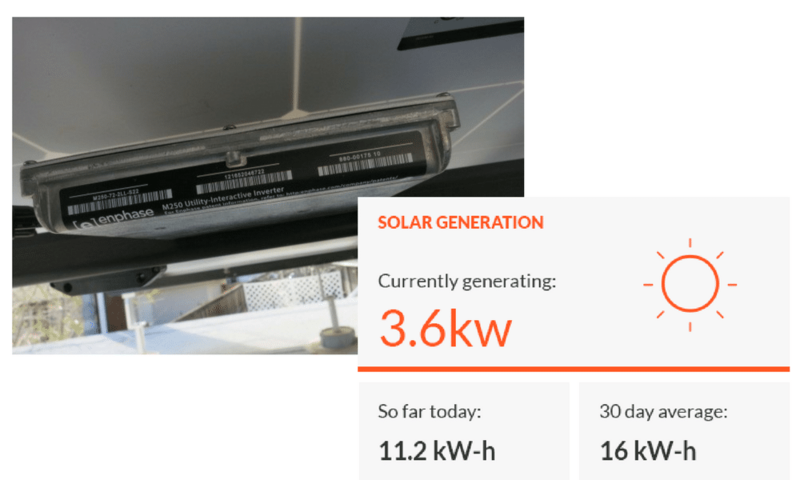 The inverter display screen is a great resource for some to verify that their system is actually producing. The display screen also shows any errors messages if there is an issue with unit. Should you see an error message contact your installer right away. The other common type of inverters are micro inverters. With micro inverters, each panel has a micro inverter connected to it, the micro inverter is mounted to the bottom side of the panel. With a micro inverter set up, there are no strings. The micro inverter functions the same as a traditional inverter, just in a small scale. Commercial PV systems can have both traditional or micro inverters, as well as large industrial sized inverters that can handle massive amounts of production. For micro inverters or commercial sized systems, there is online remote access that allows for instant access to production. Like the traditional display screens, the remote monitoring will give you current production as well as tell you if there any issues with the system. Knowing your equipment and how to view its information, is a huge asset. Does the total number of solar panels match my contract? Are all my inverters there? Is there anything blocking the sun (besides clouds :)? Do I understand my purchase contract, did I ask all my questions? And after installation, am I saving money on my utility bill? If the answer to any of these questions is “no” with the exception of the shade question (that should be “no”), then you may want to consider contacting your installer or bringing a professional to check out your system. For more information on how to protect your PV system investment and ensuring expected operation check out the Solar Energy Industries Association (SEIA) Quality Assurance page. You’ll find details on best practices for installation that your installer should follow, as well as a guide for operations and maintenance (O&M) guide. SEIA is the national, trade association of the U.S. solar industry working to promote, develop and implement solar energy in the country. Many reputable organizations provide performance management services such as inspection and O&M services which follow SEIA’s guidelines. We work frequently with one of those organizations, Sage Renewables. The industry is a steady as ever with more and more PV systems installed each day. With drastic price drops, it’s now at an all-time low having decreased from $4.30/watt to $0.94, which increases its accessibility to a larger population. It’s important to maximize our energy generation and financial investment with each installation. Solar is helping do its part to decrease our carbon footprint, one solar panel at a time. So let’s do our part to protect our investment. Learn more about our renewables expertise.